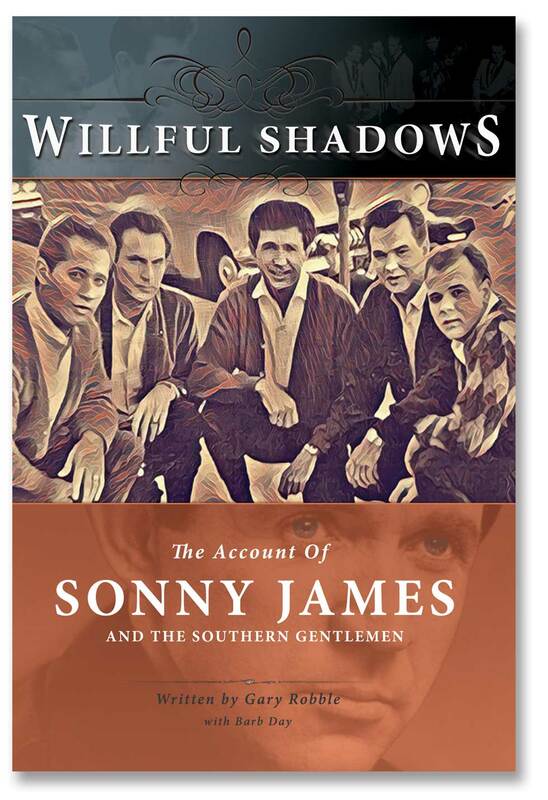 THIS IS THE FIRST AND ONLY PERSONALLY AUTHORIZED BIO OF THE SOUTHERN GENTLEMAN, SONNY JAMES. 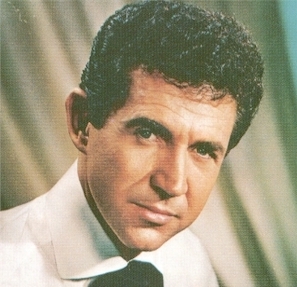 THE ACHIEVEMENTS AND HISTORY OF THE CAREER OF SONNY JAMES. From 1953 to 1983, The Southern Gentleman has had a total of 72 Chart Hits. By the mid 1960’s the career of Sonny James would reach new heights. Starting with his hit recordings “The Minute You’re Gone” and “Baltimore”, “You’re The Only World I Know” climbed to Number One country in 1964 spending four weeks in that position. “That began one of the greatest tears country music has ever known: 21 of Sonny James’ next 25 singles hit Number One (and the other four were near-misses with three reaching No. 2 and the other No. 3” — During this streak of hits, James scored an incredible five year run of 16 Consecutive Number One Singles… a feat never before accomplished in country music, pop or rock ‘n roll. If we use the same criteria used today for determining #1 singles, James would have had an unbelievable 25 number ones in a row. According to Billboard statistics, for nineteen years (1960-1979) he spent more time in the Number One chart position than any other artist in country music — a total of 57 weeks. The foundation for this success was laid years before when in late 1956 this Alabama native took his guitar, a simple musical arrangement and sang what would become his signature song “Young Love”. Capitol Records discovered radio stations of all formats were programming “Young Love” and was taking country music to scores of fans it had never reached before. The record soared to top all charts (classical being the exception) to become one of the most recognizable hits ever. It was the first traditional country teen crossover hit. (Followed by fellow Capitol artist Ferlin Husky’s “Gone”… and a few months later Marty Robbins’ “White Sport Coat”). Over forty years later “Young Love” is still programmed around the world. The importance of television no doubt played a key role in James’ recording career. His years as a cast member with The Ozark Jubilee (ABC-TV) and his frequent appearances on the nationally televised Ed Sullivan Show introduced his new releases to millions of viewers, while creating additional interest for guest appearances on other television programs, notably Bob Hope, Andy Williams. Variety Specials also gave valuable exposure. In 1961 he became the first country artist (recording division) to be honored with a star in the prestigious Hollywood Walk of Fame (Located across from Grauman’s Chinese Theatre 6628-6636). He joined the world famous Grand Ole Opry in 1962 where he regularly appeared until touring schedules would not permit him time to both tour and return to Nashville for the required Opry programs. In 1967 the honors continued when James would host the first CMA Award Show – Country Music Association’s recognition of country’s top writers and performers. With Bobbie Gentry as his co-host, the two no doubt played a major role in what has become an annual event, and one of television’s highest rated programs. In the 60s and 70s he received numerous awards from Billboard magazine and other publications for his hit recordings and personal appearances. Was named Male Artist of The Decade by Record World. On January 31, 1971 Sonny James took a trip to the moon! By special request James was honored to be the first country artist to record a program exclusively for a moon flight. In appreciation, the crew of Apollo 14, Stuart Roosa, Edqar Mitchell, Commander Alan Shepard, presented him with a flag they carried to the moon … one of James’ prized possessions. 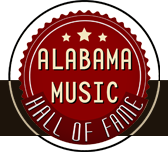 In 1987 James was inducted into the Alabama Music Hall of Fame- the Lifework Award for Performing Achievement. Stuart Roosa, Edqar Mitchell, Commander Alan Shepard, presented him with a flag they carried to the moon … one of James’ prized possessions. Samuelson did a one on one interview with Sonny James on special assignment – an insight on the early years. Here are some excerpts from that interview. Sonny James (Loden) was born May 1, 1928 in Hackleburg, Alabama, a small agricultural center about ninety-five miles northwest of Birmingham. His parents, Archie and Della Burleson Loden, operated a 300-acre farm about six miles outside of town. Their farm supported three tenant families, who cooperatively used teams of horses and mules to raise enough cotton, corn and hay to see them through each season. Along with his sister Thelma, who was born five years earlier, “Sonny” James grew up listening to music. Both of his parents were musicians. “Pop” Loden played guitar and fiddle but preferred the five-string banjo, while “Mom” played guitar in an open tuning. Thelma -whom the family always called “Sis”- learned guitar as soon as she could wrap her left hand around the fingerboard. The family owned a wind-up Victrola- Pop particularly liked Jimmie Rodgers’ records- and a battery- powered radio introduced them to pop singers like Kate Smith. By age eight, Sis Loden was a confident singer and skilled rhythm guitarist with a knack for picking up contemporary hill-billy or pop tunes. Mom’s voice soared over the others, creating a harmony that paralleled with what Rose Carter later did with the Chuck Wagon Gang. When Pop added the necessary bass vocals, the Loden Family’s sound began to gel. Later that year Pop and Mom Loden volunteered to raise an Arkansas youngster who was about Sonny’s age. Ruby Palmer loved the family’s music and was soon incorporated into the group. She began playing bass and handling yodels on Western-flavored numbers, and duets with Thelma. Her excellent voice was a key in the group’s trio and quartet. By 1936 the Loden family was a popular attraction throughout the South. “We sang everything from Jimmie Rodgers to whatever was on the radio,” James recalled. “When we hit the stage, always from the first time I was little, when the curtain went up we were playing, and we started off with something fast, do another full number before Pop would ever say anything. He got the show started in a good way! On some of those dates the Lodens shared billings with another radio group working out of northeastern Arkansas, The Wilburn Family, including young Teddy and Doyle Wilburn. Blanchard’s impressive talent roster at the time included Cliff and Bill Carlisle, Archie Campbell, Eddie Hill, Johnny Wright, Molly O’Day and Lynn Davis, and occasionally Chet Atkins. Lost John Miller briefly worked on WNOX during the winter of 1945-46. James remembers hearing and becoming friends with Miller’s banjo player, Earl Scruggs. During the family’s stay at WNOX, Pop hired accordion player Buddy Baines as a concession to the current style in country music. When they moved to WPTF in Raleigh, North Carolina early in 1946, Lois Brock replaced Baines. While in Raleigh, James roomed with two musicians working in Johnny and Jack’s Tennessee Mountain Boys, Chet Atkins and fiddler Paul Warren. “We’d just pick up a storm” he recalled. In retrospect, James considers the stays in Knoxville and Raleigh as the family’s professional and artistic peak. In 1949 the group returned to Alabama, landing a slot over WSGN in Birmingham. During that period James joined the National Guard and completed his final year at Hackleburg High School. Despite its popularity, the Loden Family left virtually little behind for posterity. They thrived in an era when the record business primarily served juke box owner-operators. Since family acts like the Lodens, the Wilburns and the Everlys did not play honky-tonks, major labels didn’t seek them out. The few that made records, such as the Chuck Wagon Gang and the Johnson Family Singers, generally limited their repertoires to sacred numbers. As a consequences once-vital segment of country music’s heritage has been lost to history. James’s company was to land in Inchon, about one hundred miles south of the 38th Parellel. China’s entry into the conflict forced the 252nd Truck Company to disembark at Pusan on the Korean peninsula’s southern tip. “We were attached to the 2nd U.S. Infantry Division.. our primary mission was to re-supply the front line with food, ammunition, gas, personnel, equipment, carry prisoners of war casualties–just anything.” Altogether the Unit carried more tonnage than any other truck company assigned to the Eighth Army. The 252nd remained in Korea for a time after a cease-fire ended the hostilities. During their service in Korea, the group lost only one member.. none of the Hamilton-based Guardsmen were casualties. Their company was awarded the Presidential Unit Citation and one of just two units in the nation to receive a citation for their service in the Korean conflict.. also the Meritorious Unit Commendation. James continued to hone his musical skills. Though he left his good instruments in Hackleburg, he kept a fiddle and an old Epiphone guitar wherever he was stationed. Though he had dabbled in songwriting for years, he began writing seriously. By the time he shipped back to the states, James had a notebook of about a dozen songs that he thought had some potential. Returning to Alabama around Thanksgiving 1952, James stayed around home for two or three weeks before leaving for Nashville. “Obviously I was interested in getting back to either doing my radio work or writing or possible recording or whatever” he explained. Impressed by James’s songs and warm, intimate style, Atkins felt James had potential as a recording artist. Curiously, he thought the singer might have a better chance at success on Capitol than his own label, RCA Victor. The next time Capitol producer Ken Nelson flew into Nashville from Los Angeles to record his southeastern artists, Atkins invited him and James to dinner. “Chet wanted Ken to hear me” James said. “I forgot who said what, but anyway, either Chet asked Ken, or Ken said, “Son, would you like to record for me?’ or something. Nelson reassured him. “Believe me,” he said. ‘They’ll find out.” The market-savvy producer also provided a memorable tag similar to along the lines of Eddy Arnold’s “The Tennessee Plowboy”, Hank Snow’s “The Singing Ranger” and Ernest Tubb’s “The Texas Troubadour”. “Because I was tall and lanky and had this Southern accent, he called me “The Southern Gentleman” James said. Several days after that session, Nelson unexpectedly brought James back to the studio, this time as a sideman. Jim and Jesse McReynolds, also making their debut session for Capitol, arrived in Nashville, without a fiddle player. Knowing James was still in town, Nelson asked him if he might help the brothers. “I said sure, because I like them”, he remembered. “I was more or less just helping out.” Now hailed as bluegrass classics, those early Jim & Jesse Capitols capture a rare glimpse of James’ skill as a fiddler. Back in California, Nelson reviewed the four sides James recorded at his session and selected the uptempo “Shortcut” as the ‘A’-side with a ballad, ‘It’s So Nice To Make Up” as the flip. While waiting for the record’s release, James made a guest appearance on The Louisiana Hayride on KWKH, Shreveport. Curly Harris introduced the singer to Slim Whitman, a Hayride regular starting to break through as a recording artist. As demand for personal appearances increased, Whitman decided to quit his post office job and go on the road with his band, the Stardusters. Normally shy and reserved, the singer needed a dynamic, personable front man to warm up the crowd before he took the stage. After watching James entertain the Hayride audience, Whitman found his front man. James was grateful for the opportunity. Following conventional country music protocol, James came on stage after the band played its opening number. For thirty minutes he whipped up the crowd with songs and fiddle tunes. “He’d sing and play the fiddle behind his back and under his leg,” Whitman told Kevin Coffey in 1995. James never recorded with Whitman, though he played fiddle and electric mandolin on an Imperial session featuring the Stardusters’ Curly Herndon and Hoot Rains. Although sympathetic to his front man’s concerns, Whitman encouraged James to stick it out. “Spend a couple of weeks with me,” he pleaded. “Maybe I can work this out.” But as those club dates grew closer, James reluctantly gave Whitman his notice. During his two months with Whitman, James kept his eye open for other opportunities. While visiting a Jackson, Mississippi, station to promote his first single, a disc jockey suggested the singer hear a new release by Baton Rouge singer Lou Millett, “That’s Me Without You.” “He said, ‘It’s strictly a territorial. and I know the writers would like to get a major label to do it,” he said. A plane with no rudder, a watch that won’t run. “That’s Me Without You” was the first song James recorded at his September 17, 1952, Nashville session, which also featured three more originals penned in Korea. In addition to opening for Williamson, James became a utility player, picking up the fiddle, mandolin or guitar as needed. The group made several television appearances, worked a regular midday show over WFAA that featured Bob Shelton of the Shelton Brothers. Program Director Dan Valentine also offered James his own show in addition to his appearances with Williamson. Even more important, the singer was given a slot on WFAA’s The Saturday Night Shindig, which was simulcast on radio and television. While James was in Dallas, Capitol released “That’s Me Without You.” Disc jockeys jumped on the song, and Billboard reported strong airplay. The next stage in making a record a success was to grab the attention of jukebox operators. After that, record sales usually ballooned. When The Saturday Night Shindig folded, James joined the cast of KRLD’s live country music showcase, The Big ‘D’Jamboree.” Ed McLemore, who ran the program along with Ed Watt became James’s managers. With the stockpile of available sides dwindling by summer 1954. Nelson needed new material. Because James’s busy schedule prevented him from going to Nashville, the producer booked time at Jim Beek’s Dallas studio in late July for two sessions. James used his regular band, which included Harland Powell on steel and Neil Jones on guitar. The first track, “This Kiss Must Be Forever,” opened with James’s distinctive lead guitar work – a significant component of his maturing style. The second track, the bouncy “She Done Give Her Heart to Me,” became a d.j. favorite, reaching No. 14 on Billboard’s “Most Played by Jockeys” chart. The session also yielded a Christmas single, featuring songs James co-wrote with John Polanski, a Dallas Salvation Army major who wrote under the name “John Skye.” But musically, the most impressive side was probably “‘Till the Last Leaf Shall Fall,” a sacred song that drew its arrangement from the great gospel ensembles of the era. James would apply elements of this sound to some of his most memorable recordings. Hit records may be elusive but James’s career was taking off in other ways. In addition to his weekly appearances on The Big ‘D’Jamboree, Ed McLemore landed him a rotating slot on Ozark Jubilee, a new country music show aired Saturday nights on ABC-TV. An expanded version of a weekly barn dance show heard on KWTO, Springfield, Missouri, Ozark- Jubilee debuted January 22, 1955, with Red Foley as its host. In the beginning, about eighty stations picked up the first half-hour, then the full network carried the remaining hour. “It was originally an hour-and-a-half show,” James said. 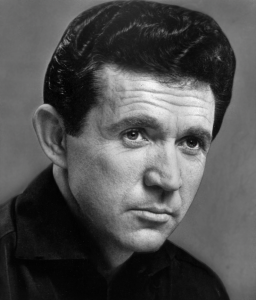 “Red said, it’s just too long for him to emcee – he was afraid people would tire of it.” Foley opted to emcee the final hour of the show, leaving the first thirty minutes to be shared by three rotating hosts: Sonny James, Webb Pierce and Porter Wagoner. A December 1955 session yielded a conventional country ballad, “My Stolen Love” penned by Dot artist Billy Vaughn. For the last song of that session, “For Rent (An Empty Heart)”. Penned by James and Jack Morrow, the song was built around a driving backbeat, bluesy piano and a breezy background whistler. “For Rent” sounded unlike anything James had previously recorded – many collectors consider it his finest moment from his first tenure at Capitol Records. It certainly was his most popular record to date. When James next visited Jim Beck’s Dallas studio in April 1956, Major-Bill Smith, a Public Relations Officer at Casswell Air Force Base, supplied “Twenty Feet of Muddy Water’, a bluesy ballad. Adam Komorowski queried Smith about the song in a late ‘70s profile for New Kommotion No. 23: “Jack Anderson, who’s a famous columnist in America, he was working for Parade magazine at the time – and he and a navy photographer came down to the base to do a story on the B-36, the biggest bomber of all time” Smith said. ‘We were sitting around the office and the photographer said, ‘one time during the war I had to go down in twenty feet of muddy water and take pictures.’ That hit me– twenty feet of muddy water-so I thought I’m gonna write a song with that title. I came up with the idea that somebody told this guy that his girl had taken off his ring and threw it in the river and he’s going down into twenty feet of muddy water to see if she really threw it away.” This record was heavily played by country radio. In August 1956, James and Harland Powell flew to Los Angeles to record James’s first album for possible single release. With backing by guitarist Joe Maphis, bassist Bud Dooley and drummer Pee Wee Adams, the sessions were aimed at a mainstream country audience. Nelson used nine of these tracks on Southern Gentleman (Capitol T 779) and fleshed out the album with three sacred tracks from earlier sessions. “The Cat Came Back”, a buoyant, folk-flavored song was picked as James’s next single for 1956. “That’s me hitting the guitar between beats.. Anyway, I just used me and a bass fiddle”. As before, it became a favorite of disc jockeys. James returned to Nashville for another session in 1956- the one that produced his breakthrough record “Young Love”. He always considered the song and his arrangement as “country as anything’, but it grabbed the pop market at the end of 1956 and clung to the Billboard’s pop and country charts until May, 1957. And would have hung on longer if Capitol Records had been better prepared to supply the demand. “It caught the people in merchandising off guard… being a country artist they looked for me to sell a certain amount of records and each release was based on that… in other words, they didn’t want to overpress before any record was released… the song surprised everybody it hit so fast, and was such a hit. James’s success also led Ken Nelson to push other country artists into pop markets. Ferlin Husky’s “Gone” was a No. 4 Billboard pop that spring. Marty Robbins also benefited from James’s single. Irritated that Columbia Records undercut his ‘Singing the Blues’ with an inferior pop cover by Guy Mitchell, Robbins began cutting his own teen pop with arranger Ray Conniff in New York City. “A White Sport Coat (And a Pink Carnation)’ and “The Story of My Life” attracted the same pop audience that bought “Young Love”. As demand for personal appearances escalated, James’s television representative MCA Agency also launched a campaign to place him on major television shows in addition to his regularly scheduled Big D Jamboree and Ozark Jubilee appearances. He married his lovely wife Doris in 1957 in Dallas. James departed Capitol for a period of time, recording albums for his ex-roommate and friend, Chet Atkins on RCA and Dot Records respectively. And he said “I think you’re right – let’s do it that way”. He said ‘Marvin Hughes is here’-he had Marvin working Capitol at that time in Nashville. And when we got together it was just great’. “Ken was right. The minute we started doing what I call homegrown type arrangements in my head and picking songs that went along with my country background it was unbelievable, everything began hitting … I guess people wanted to hear what they heard on my earlier records”. In the early ‘60s James re-established his career as one of the most successful recording artists of all time. For nineteen years (1960-1979) his hit recordings were a dominate force in the growth of Country radio.